Lancashire is a beautiful county filled with wonderful things for the entire family to see and do, and the winter months are no different! This wonderful time of the year has a wide range of traditional events on offer. From pantomimes, ice rinks, Santa’s grottos, to Christmas markets and much more, there is never a dull moment in Lancashire during the winter. 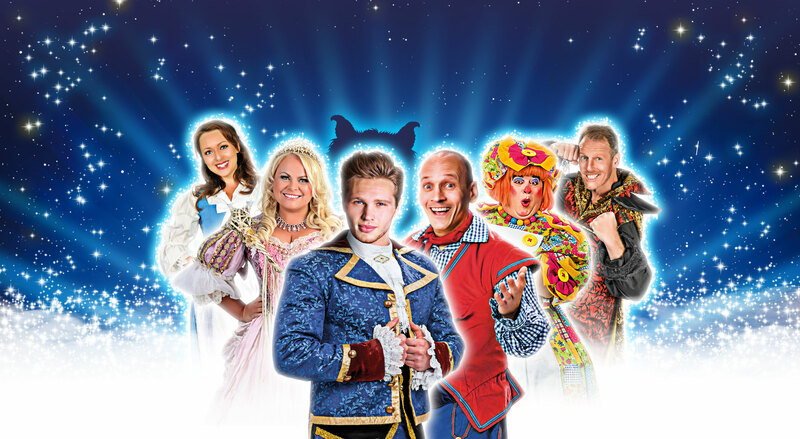 At the Blackpool Grand this winter, the Beauty and the Beast Pantomime is a must-see show. Join us as Belle is transported to a cursed castle and imprisoned by its ruler, a beast who is under an evil enchantress’ spell. Filled with beautiful scenery, magic, and luxurious, costumes, this is a pantomime for the entire family. Ice skating, stalls with festive food, fairground rides, a Bavarian fun house, Betty’s Tipis, and drink and crafts will all be at Chorley’s Winter Wonderland this year. This festive wonderland on Cleveland Street will feature a 60 feet by 40 feet ice rink at £6 per session. Children under 5 years old can enjoy skate sessions at Cub Club on Sundays, at only £3 per person. Don’t forget to check out Chorley’s Christmas Market while you’re around! If you fancy a short break this winter, you can enjoy a delightful stay at Ribby Hall Village – the only 5-star holiday village in Lancashire. Just a short 15-minute drive from Lytham St Annes and Blackpool, it boasts 100 acres of beautiful scenery. At only approximately £16pp/pn, you can stay at Ribby Hall and take the little ones to visit Santa and his reindeer or have a spin on the new ice rink. Take a look at 2015’s Winter Wonderland at Ribby Hall Village. Located in Carnforth, the South Lakeland Leisure Village provides a relaxing stay and luxurious environment in lodges of up to 8 people. You can enjoy fishing lakes, an indoor swimming pool and spa, and delicious food at the Water’s Edge Restaurant. The facilities boast a heated swimming pool, parking spaces next to the units, laundry, pets welcome (by arrangement), a bar, on-site catering, windsurfing, gym, golf course access, and more. Thornton Hall Country Park will welcome another exciting Christmas Adventure. Help the Chief Elf in Lapland over the two-hour adventure that includes a Magical Grotto experience, luxurious welcome drinks, a brand-new live show with interactive choreography, an Elf workshop with a new Build a Bear, Mrs Christmas’ festive kitchen, a ride on the Santa Express all the way to the deer park, and much more. Go for a spot of shopping in Blackburn’s Christmas Market and find special gifts for your loved ones. The Bavarian Village and authentic German chalets boast plenty of stalls selling delicious food and drinks, alongside novelty crafts. Enjoy the attractions and the music as you wander through the Cathedral Quarter and take in the atmosphere. Winter is always a magical time, for both children and adults. Growing old is mandatory but growing up is optional, so come enjoy some of the best winter attractions in Lancashire with the entire family! Contact us on 01253 290190 to book tickets on our Box Office – we have a wide range of family-friendly shows you can enjoy throughout the winter months.